Provides an introduction to skiing for ages 4 to 6 that have never skied before. Includes two indoor, two Pete’s Pad and and four Magic Carpet sessions. This class will not ride the chairlift. Pass or ticket only needed for Magic Carpet sessions. Parent/guardian must be present at each session. For ages 5 to 6 that have skied before and can ride the Magic Carpet and stop. Includes three Magic Carpet sessions and five sessions riding the chairlift(s). 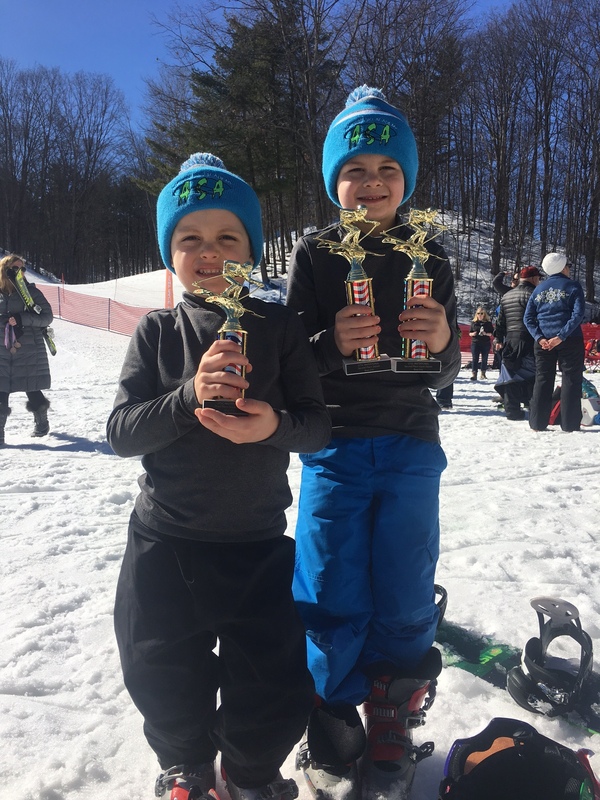 Upon completion, students should be comfortable riding the chairlifts and skiing all green runs. Pass or ticket needed for all sessions. Meeting one or two nights per week. Wednesdays and/or Thursdays. All ability levels. Ski program lessons require a helmet. Meeting two to three times per week. Race programs include two main sessions per week and one optional session per week. Wednesday, Thursday and Saturday nights at Schuss. Race program lessons require a helmet. Meeting ONCE per week on Thursdays. This program may teach jumps or tricks. First-time snowboarders must be at least 8 years old. Snowboard program lessons require a helmet. HELMETS ARE REQUIRED FOR ALL ASA PARTICIPANTS. HELMET RENTAL AND/OR PURCHASE ASSISTANCE IS AVAILABLE TO ASA STUDENTS.